United Soccer Leagues announced today the 2005 season overview and application process. The Super Y-League has expanded their relationship with the emerging youth soccer leadership, US Club Soccer, by developing a multi-tiered league system that will provide new opportunities to clubs, players and coaches in 2005. TAMPA, FL – United Soccer Leagues announced today the 2005 season overview and application process. 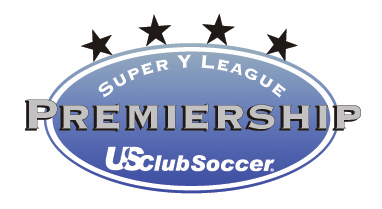 The Super Y-League has expanded their relationship with the emerging youth soccer leadership, US Club Soccer, by developing a multi-tiered league system that will provide new opportunities to clubs, players and coaches in 2005. The new Super Y-League structure includes a Premier Division, First Division and Second Division with a promotion and relegation system between the divisions. The top 60-72 teams per age group in the United States and Canada will be competing in the Premier Division, with the First Division containing the same amount of teams per age group. The Second Division will contain teams that can compete at a “state” level. In some cases these Second Division leagues may be existing state or sub-divisional leagues that want to affiliate with the Super Y-League and US Club Soccer instead of other youth soccer governing organizations. US Club Soccer will play more of a role in aiding the development of these leagues in 2005. US Club Soccer will serve as the official team registration and national cup provider of all of the Super Y-League divisions. Other programs that both organizations will jointly develop include player identification in the Super Y-League’s Olympic Development Program and US Club Soccer’s ID2 program. “This is the system that we have long envisioned and we believe that this is the right time to begin this process for the continued growth and development of the game,” added Weibe. For more detailed information, questions and answers and an application for the 2005 season, please visit www.superyleague.com.